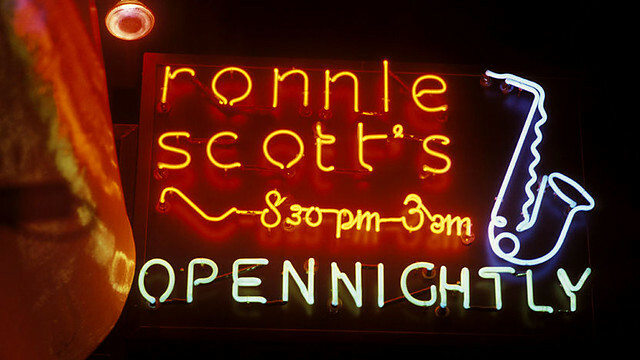 Back in the day, Ronnie Scott’s Jazz Club was all about supporting up and coming artists. This was the 60s, and when not staging visiting American stars, this little Soho venue was supporting new, different types of music and artist – genres and musicians that didn’t necessarily fit the then-traditional mould of jazz. Today, Ronnie’s is a classic institution, with classic artists and a classy clientele. This is where the elite get play. Tonight is different. Tonight, we get to glimpse the Ronnie’s of yesteryear, where the club sandwiches in a night of new and unusual jazz music between concerts by world famous veterans (yesterday: Ron Carter – Tomorrow: Tania Maria). It’s not that Ronnie Scott’s is averse to showcasing new music (far from it – new music is what makes their Late Late Show such an appealing night out), it’s that the club is normally committed to some multiple night, big name residency, and is so in demand by established artists that there isn’t room for young acts to take up the evening headlining slots. There is a mischievous charm to seeing young guys in T-shirts and trainers rock out in a historical place so elegant, so formal and so exclusive. Both co-headlining bands – Manchester’s GoGo Penguin and Leeds’ Roller Trio – are obviously ecstatic to be here, but there is no denying the equal measures of smugness and disbelief; how did we manage to get here…? 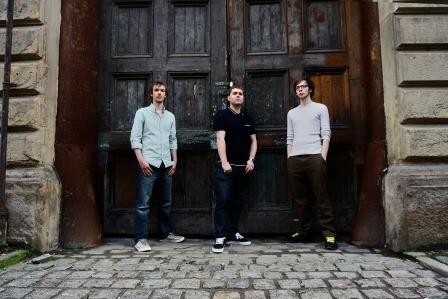 First up is GoGo Penguin, the piano jazz trio signed to Matthew Halsall’s Gondwana Records. Having last seen them at Pizza Express Jazz Club in support of 2012’s debut album – Fanfares – I was already accustomed to their contemporary take on Esbjörn Svensson Trio. But I wasn’t prepared for them to unveil so much new material (they’re currently making a new album), nor for that material to be so sonically developed. Among the newbies, the cinematic opener justifies their comparisons to The Bad Plus, while the comparatively chilled ‘The Letter’ is melancholic, though a little flat, with brushed drums and graceful restraint. ‘Rob’s Tune’ (working title) is propelled by a kind of groove-funk omitted from their debut, backed by a near-hiphop drum beat, and main set closer ‘Garden Dog Barbeque’ is fiendishly erratic, kicked off by a intricate piano intro and ending with an innovative lacing of dance music; house on the double bass, and indie-disco on the drums. However, GoGo Penguin also perform plenty of material from Fanfares – one of my favourite releases of 2012. The Jekyll and Hyde nature of the title track showcases both the finger wizardry of pianist Chris Illingworth and the rapid-fire nature of Rob Turner’s unusual drum style; his drumming is always fast and complex, yet strangely light. Their non-jazz influences are more clear live than on record; electronic acts like Bonobo fuel the emotive movements of ‘I Am That’ and ‘Last Words’, while their post-rock tendencies make tracks like ‘HF’ powerfully climatic, with the three-way instrumental stabs towards the end being the set highlight. Although they share GoGo’s love of contemporary, non-jazz music (and their ordinary demeanour, looks and young ages), Roller Trio are an entirely different creature. Last year’s Mercury Prize nominated, eponymous debut was an extremely accomplished fusion of sax-jazz, understated electronics and rock – so accomplished that it’s a little bewildering to think that they only formed the year before in 2011. Tonight they have an air of being ‘fish out of water’, or at least the underdogs; this, despite having the more prominent set time. Perhaps this was because they are nervous and shy (which they certainly appear), but once they launch into opener ‘Deep Heat’ it becomes apparent that it’s because of their style. They are not your typical Ronnie’s band – hell, I’m not even sure they’re a jazz band. While GoGo layer their piano jazz with subtle components of other genres, Roller Trio seem to come at their craft from the other angle; layering their instrumental rock music with variants of jazz. ‘Deep Heat’ sets the tone for the night: heavy, erratic and indisputably intelligent. James Mainwaring’s tenor saxophone is hands down the most impressive and challenging I’ve witnessed in the last few years, and the blasts that drive the opener forward were thrilling. 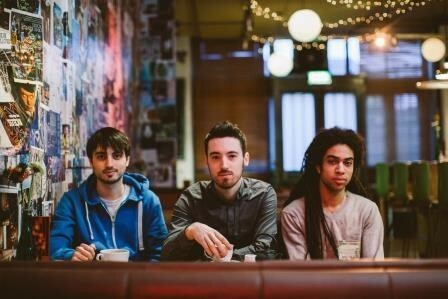 When Mainwaring’s sax was riffing in conjunction with Luke Wynter’s electric guitar, Roller Trio create an intense, almost math-rock sound, not unlike the progressive ska-punk (yes, there really is such a thing) of RX Bandits. When they went off on separate tangents, such as on the psychedelic ‘Roller Toaster’, their justification for headlining Ronnie’s was inarguable. Backed by dexterous drummer Luke Reddin-Williams, who constantly and effortlessly switches between elaborate modern jazz patterns and straight up rock, Roller Trio’s extended jams and solos play out in a free jazz manner, with squealing sax and fervent, finger-picked guitar solos. Via Wynter’s chameleon guitar playing, there are moments of blues, funk, hiphop and indie rock, all coloured by punishing sax, with Mainwaring sometimes opting for Western style hollering and sometimes opting for more introspective, Eastern style meanderings. ‘A Dark Place To Think’ focuses down on a menacing hard rock riff before soaring off into mid-paced jazz, while the spikey guitar lines and sharp drum solo of ‘The Interrupters’ shows their penchant for interesting, melodic indie. 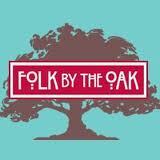 The highlight is undoubtedly ‘R-O-R’’ – a moving ballad led by a beautiful guitar line and drum brushed pitter-pattering, bolstered by an otherworldly, impassioned sax solo. After their raw, viscous performance there was no encore. Roller Trio, covered in sweat, simply exited the stage. I had been unsure as to whether any band could follow a trio as proficient live as GoGo Penguin – but I had never seen Roller Trio. It wasn’t necessarily that the latter was a better band (although they certainly weren’t a lesser band), it’s that there was no way piano jazz could follow something as hard-hitting and dynamic as Roller’s jazz-rock. Tonight was special – for the young bands, for us and for Ronnie Scott’s.